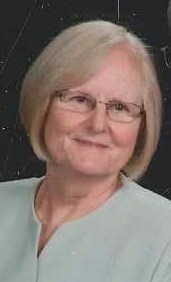 Newcomer Family Obituaries - Marita 'Rita' Welker 1949 - 2019 - Newcomer Cremations, Funerals & Receptions. Marita “Rita” Welker, age 70, of Toledo, passed away peacefully Thursday, April 4, 2019 at Hospice of Northwest Ohio, Toledo with her loving family by her side. She was born on March 3, 1949 to John and Frances Horvat in Rotchen, Germany. Rita was a longtime member of the Bavarian Sports Club and also danced with the Schuhplattler Group. She enjoyed taking casino trips, taking cruises, playing cards and embroidery. Rita was an excellent baker and hostess; her Christmas cookies will be missed. She loved nothing more than spending time with her family whom she was very proud of, especially her grandchildren. Rita will be deeply missed by all who knew and loved her. Rita is survived by her loving husband of 50 years, John “Hans” Welker; daughters, Angela (Karl) Huss and Karin (Scott) Schroer; grandchildren, Sophia, Chad, Madison and Ashley; brother, John Horvat; sister, Rosie Palmer; and many other extended family members and dear friends. She was preceded in death by her parents. The family will receive guests on Friday, April 12, 2019 from 10:00 a.m. – 12:00 p.m. at Newcomer – Northwest Chapel, 4150 W. Laskey Rd., Toledo (419-473-0300) with Memorial Services beginning at 12:00 p.m. in the funeral home. Inurnment will be Private. Those wishing to make memorial contributions in honor of Rita are asked to consider Hospice of Northwest Ohio or a charity of the donor’s choice. To share a memory of Rita or to leave a special message for her family, please click the "Share Memories" tab above. Add your memories to the guest book of Marita Welker. and remember the very special Welker family very fondly. Thank you for the joy each one of you added to my life and your consyant kindnesses. May God wrap His arms of comfort around you and Rita's grandchildren. DURING THIS SEASON OF EASTER AND BEYOND, MAY JESUS OUR GOD OF COMFORT, OUR RISEN LORD, RICHLY BLESS YOU ALL AS YOU REMEMBER AND CELEBRATE MARITA'S LIFE LEGACY. PEACEWITHGOD.NET HER MEMORY WILL LIVE ON IN THE HEARTS OF ALL WHO KNEW HER. EARTH HAS NO SORROW THAT HEAVEN CANNOT HEAL. My condolences to the family at this time. May the God of Peace, comfort you and your family at this time. Please accept my deepest sympathy. May you find comfort from Gods promise to reunite us with our loved ones by means of the resurrection. John 5:28,29. Rita was such a friendly person,wonderful host and treated their friends like family. She will be greatly missed by all,love Doris and Keith. My loving thoughts go out to John and the family. Rita was a fun person, and a devoted loving wife. John was equally devoted to her. I spent time with Rita and John in Las Vegas, and she was so much fun and loved being with us. We loved being with her and John as well. God bless you, Rita. God bless you, John. You’ll always be together.